Mercedes-Benz V-Class Review 2019 | What Car? So, that lovely two-seater convertible bit the dust years ago, after you got married and needed the cash for the deposit on a house. Then you bought that sensible family hatchback, which was fine for trips to the dump and carting the nipper around in, but when the family continued to grow that had to go, too. Now you have a troop of kids to ferry about and need lots of seats. Are we describing you? If we are, have you ever considered a Mercedes V-Class? 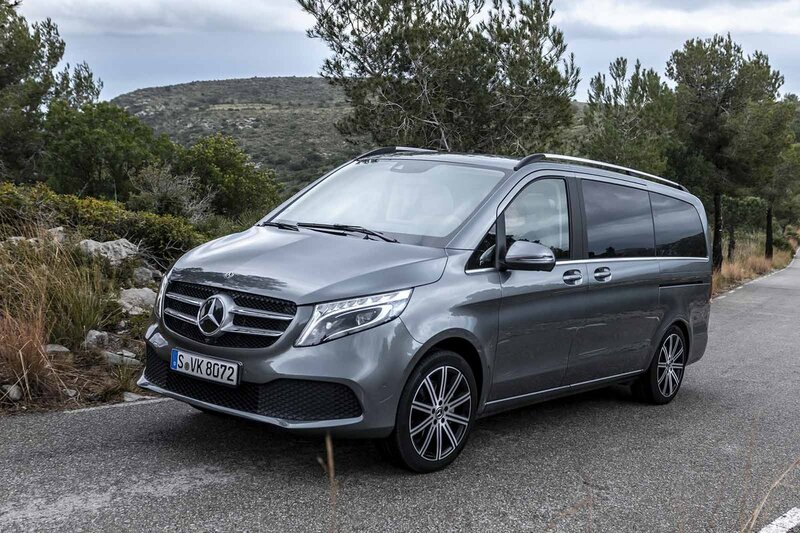 The theory is that, being based on the hefty Vito van, the V-Class offers even more space than regular large MPVs such as the Ford Galaxy and Seat Alhambra. Mercedes isn’t the only manufacturer to put seats and windows in the back of its commercial vehicles, either: there’s also the Ford Tourneo Custom, Peugeot Traveller and Volkswagen Caravelle to consider. The Mercedes you’re looking at now started life in 1996, and has since gone by various names depending on where it’s sold. This third-generation model, though, reverted to its original V-Class name when it was released in 2014 in the UK. Not only is it offered as an MPV, though; you can also buy a campervan-style variant which sleeps up to four people, has a kitchenette, and is known as the V-Class Marco Polo. The V-Class range received a facelift in 2019, bringing styling tweaks inside and out, as well as a new lineup of engines, along with a new automatic gearbox. The question is, if you’re looking for a car capable of carrying you and your many loved ones, is the V-Class your best bet? And, if you want transport to take on some proper adventures, is the V-Class Marco Polo a solid choice? Read on to find out everything you need to know about all variants of the V-Class. And don’t forget to look at our New Car Buying pages to see how much money we could save you off your next new car without any awkward haggling.